Place bread on a foil-lined baking sheet and cut bread loaf lengthwise and widthwise (without cutting all the way through the bottom of the loaf), creating approximately ½-inch to 1-inch wide sections of bread. In a small bowl, combine melted butter and ranch seasoning. Using a pastry brush, apply a light coat of the mixture all over the bread (save for about ¼ of the butter mixture).- being sure to get some of the butter mixture down in the cut areas of the bread. 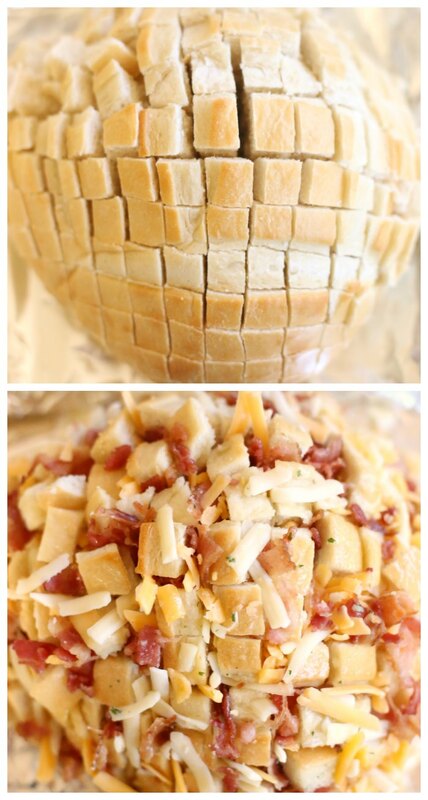 Once buttered, stuff the shredded cheese and bacon between the bread slices. Lightly spray foil with non-stick spray and wrap bread completely in foil. Bake at 350 degrees for 10 minutes. Remove from oven and unwrap the bread. 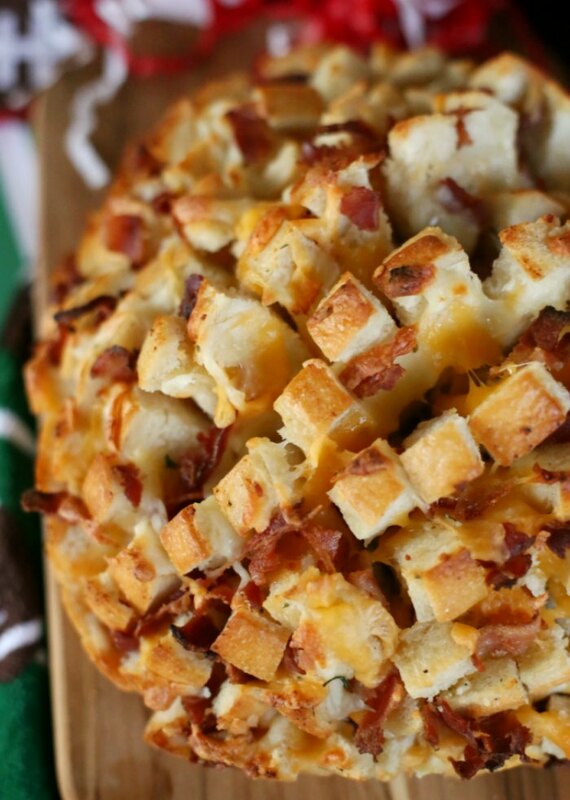 Top the bread with remaining butter mixture and any additional cheese you'd like. Return to oven (bread unwrapped) and bake 10 more minutes, until cheese is melted and bread starts to look golden. Yum! So easy and tasty! 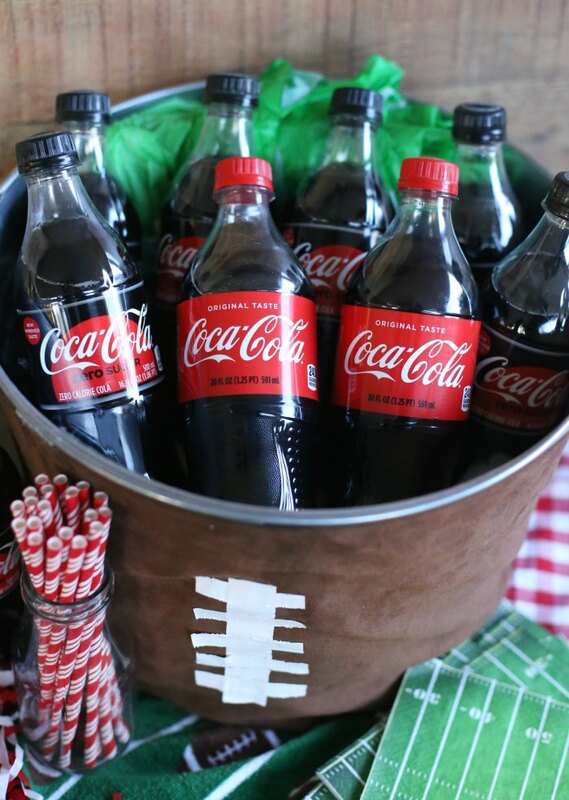 Perfect for setting out with your drinks and letting guests dive right in! 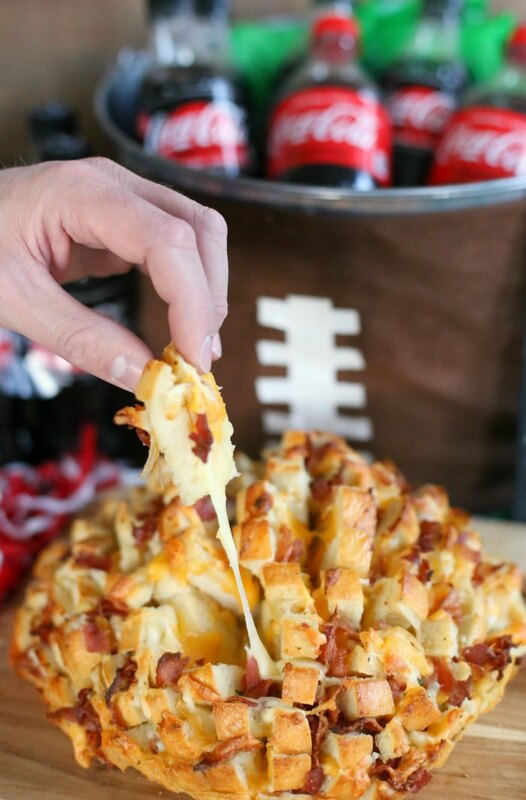 So much flavorful, cheesy goodness! 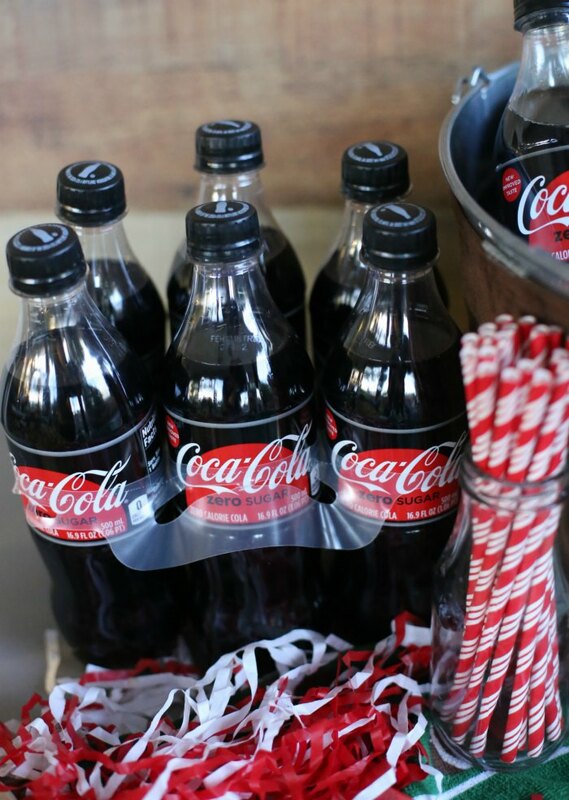 Everyone LOVES this spread at our house! 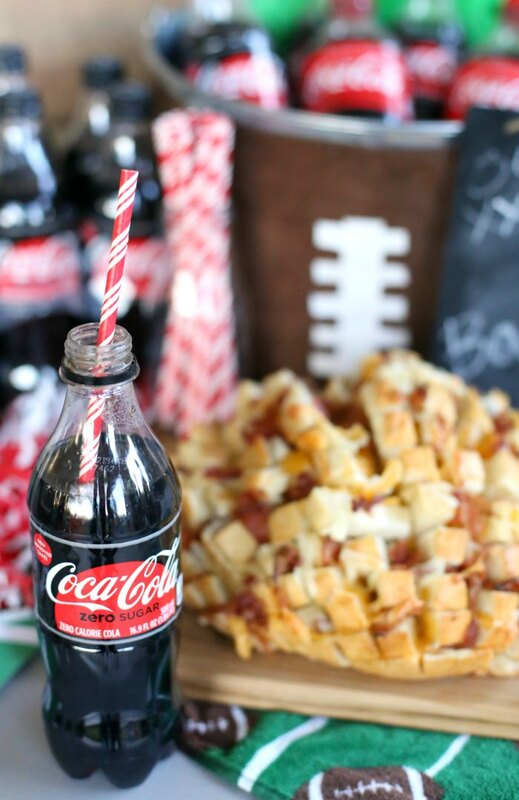 So, as you get ready for your favorite college bowl game…or even the upcoming “Big Game”, be sure to head to the store to grab some Coca-Cola and/or Coca-Cola™ Zero Sugar and the ingredients to make this tasty pull apart bread for your game-time eats!!! ENJOY! 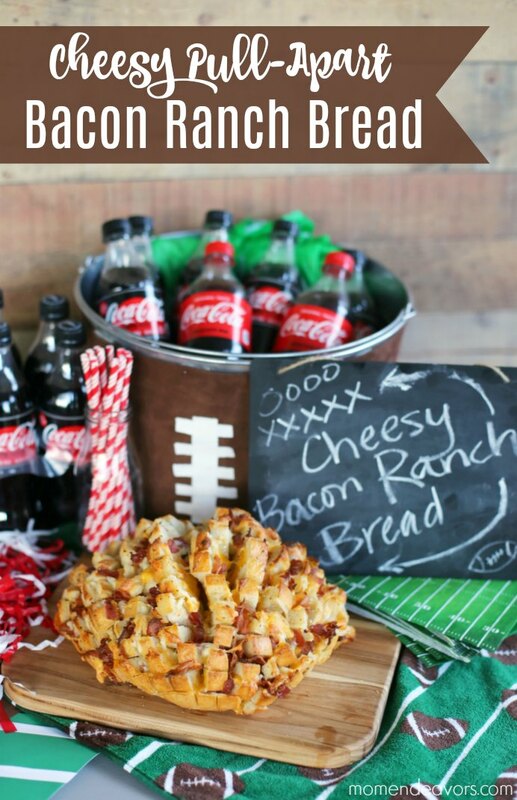 What are YOUR favorite football food & drink choices?